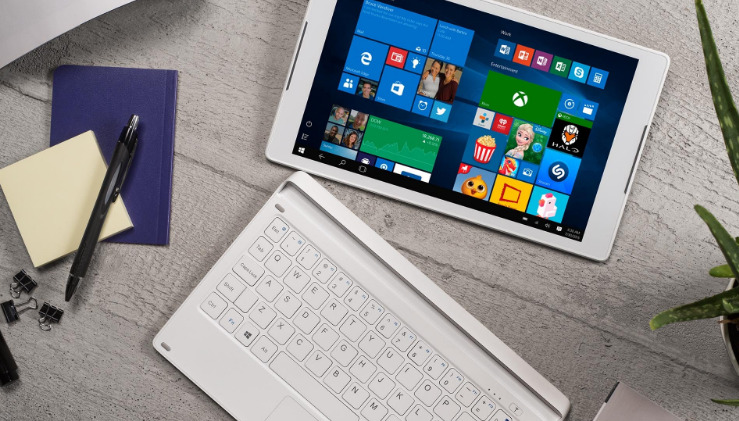 Alcatel has lunched its first ecery Windows 10 powered Tablet PC, The Alcatel Plus 10 is a two in one connected tablet, the tablet features 4G LTE Keyboard, a 10.1 HD IPD display, powered with a quad core processor and running on Windows OS 10 Operting System. The Price of the Alcatel Plus 10 is around €349 which will make it undercut many of its competitor. 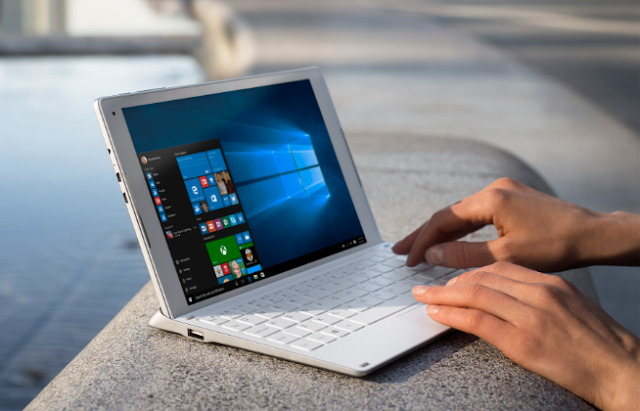 The tablet is detachable with a unique LTE functional Keyboard, The tablet features a 10.1" IPS LCD with 1,280 x 800px resolution. It's powered by a quad-core Intel Atom x5 Z8350 1.92GHz processor. The Tab has an Internal memory of 32GB with a 2GB of RAM size, it also supports memory expansion slot of up to 64GB using MicroSD Card. The Alcatel Plus 10 tablet is also boasted with a dual stereo speaker on the front and also a 2MP selfie camera at the top left corner and a 5MP camera on the back. The keyboard of the Plus 10 has a full-size microUSB, USB port and a microHDMI. The tab has a built-in LTE connectivity which can serve as a Wi-Fi hotspot for about 15 devices. The tablet's own connectivity includes Wifi and Bluetooth. We expect the battery life of the tab to performance very well, but however, the battery life is good and can last up to 8 hours of work in total with an uneven split in the battery capacity, the tablet having 5,830mAh and 2,580mAh in the keyboard. The Alcatel Plus 10 would bring a perfect work experience and is good for work with Office 365 and a quality, performance and reliability Intel Processor which provides a desktop or laptop experience. The tablet comes in a multiple color option and has started shipping already.